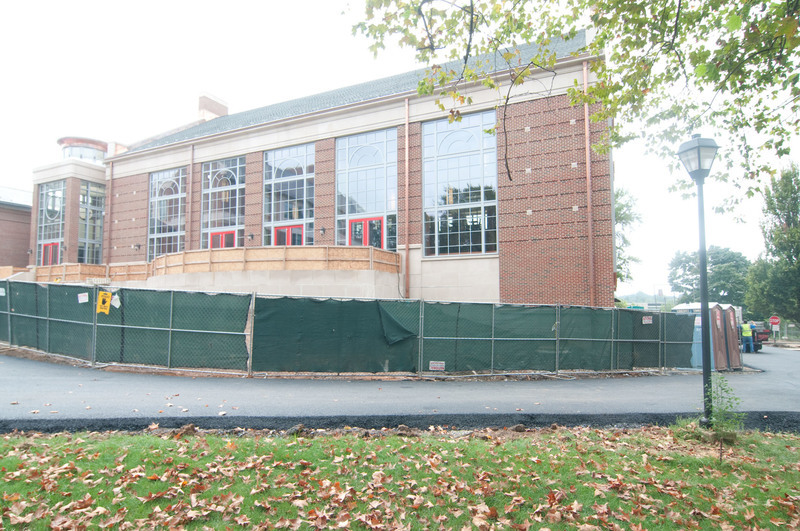 Prior to the construction of Seegers Union, Muhlenberg’s dining facilities were confined to what is now Walson Hall, built in 1912 and last expanded in 1943. 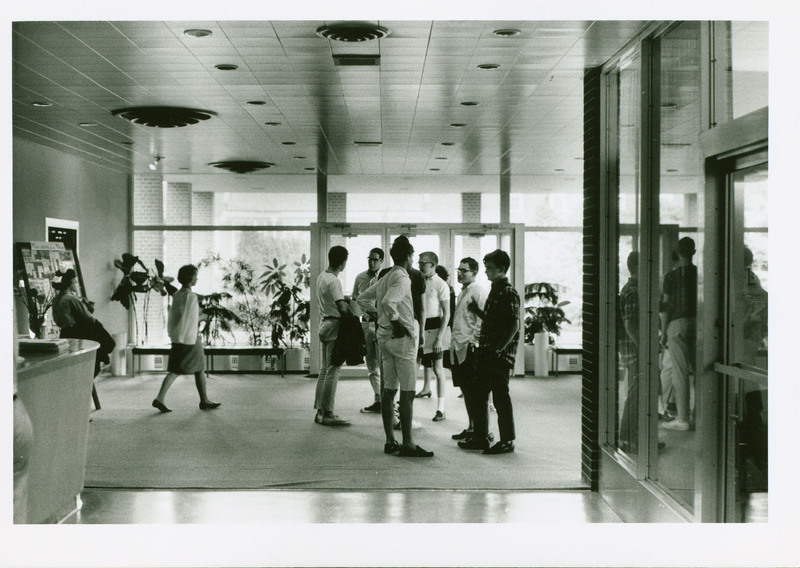 The College needed a student union, a place of recreation, dining, and community. Dr. J. Conrad Seegers, Class of 1913, served as the seventh president of Muhlenberg College (1953-1961), and he is the only alumnus to have thus served. 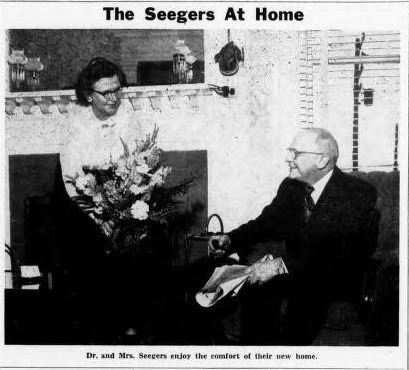 President Seegers was instrumental in eliminating College debt, overseeing the construction of new buildings including Memorial Hall and Walz and Martin Luther dormitories, and most importantly, ushering in coeducation in 1957. 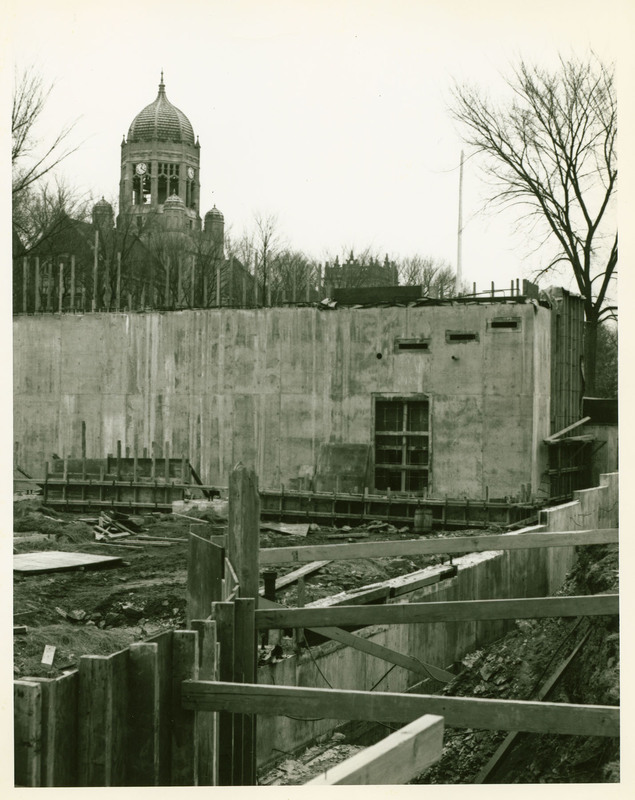 From the earliest planning stages, the student union was always to be named in his honor. 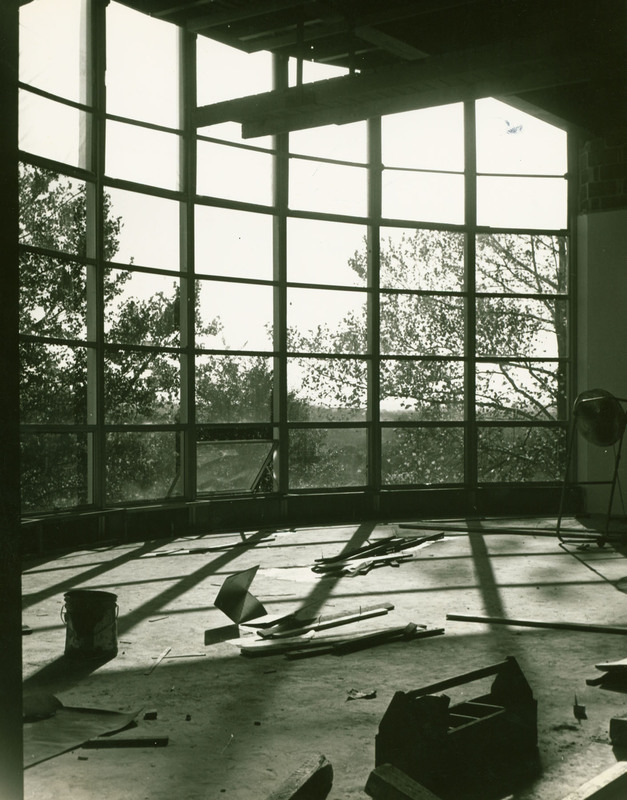 The building was designed by Philadelphia architects Trautwein and Howard, and constructed by H.E. Stoudt and Sons, Inc. of Allentown. 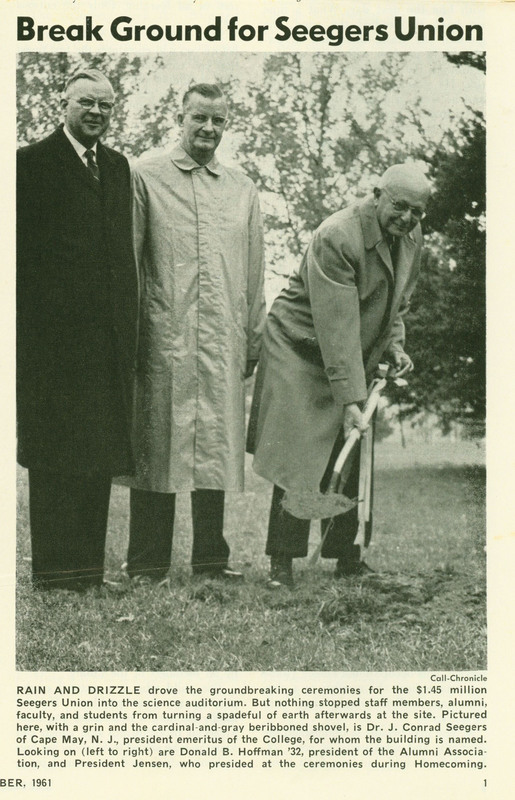 Ground was broken in October, 1961. 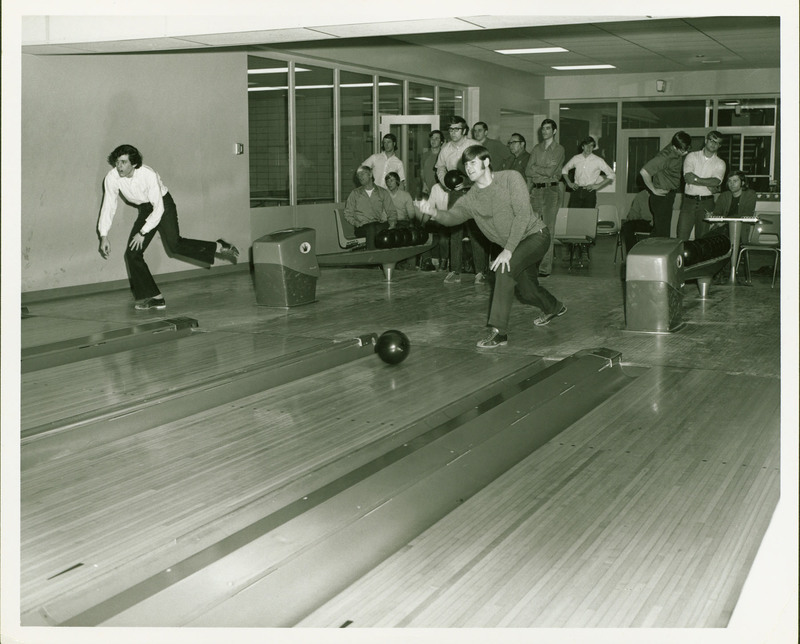 Students had considerable say in the composition and interior design of the building, as surveys in the archives indicate (75% of the student body favored the addition of bowling alleys). 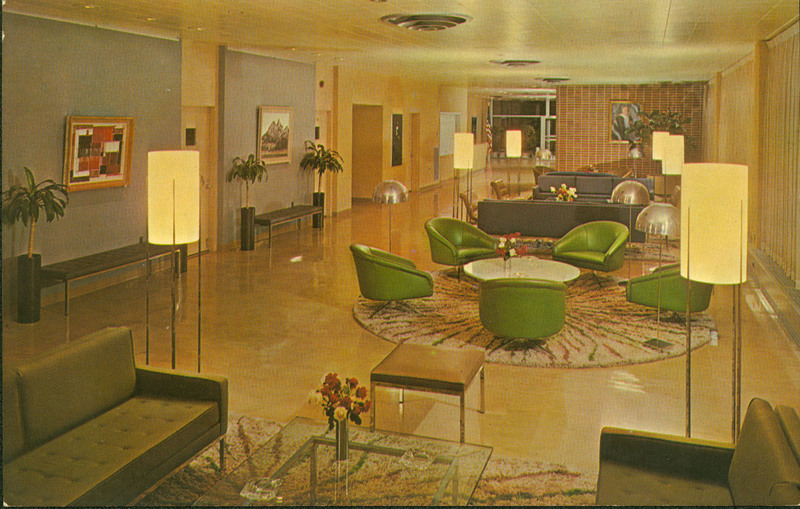 The facilities included a bookstore, lounge, music room, television room, bowling alley, billiard room, snack bar, dark room, and poster making room. Additionally, there were meeting rooms and a conference room, areas for displaying student artwork, and the student newspaper and radio station were located on the lower level. The dining room, known as the “Garden Room,” became a location for dances, guest speakers, and other events. The College continued its long-time relationship with M.W. Wood Catering Service in the new facility. 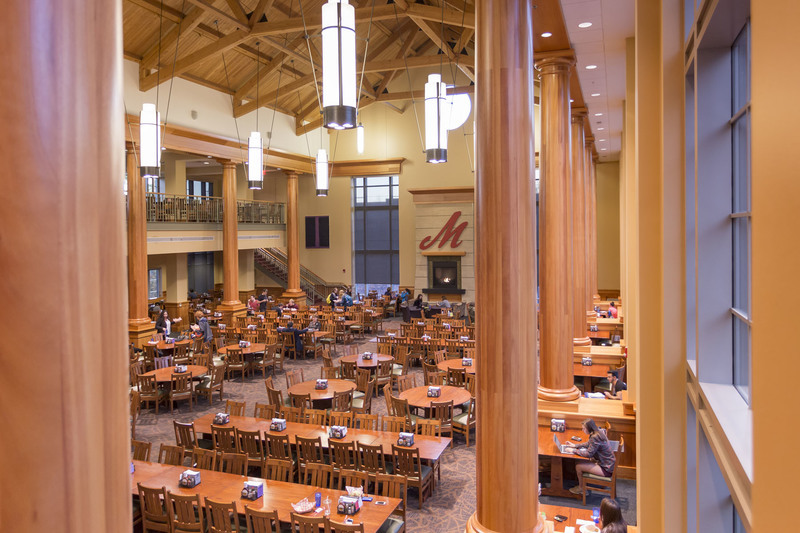 Through the decades, Seegers Union has been enlarged and renovated. 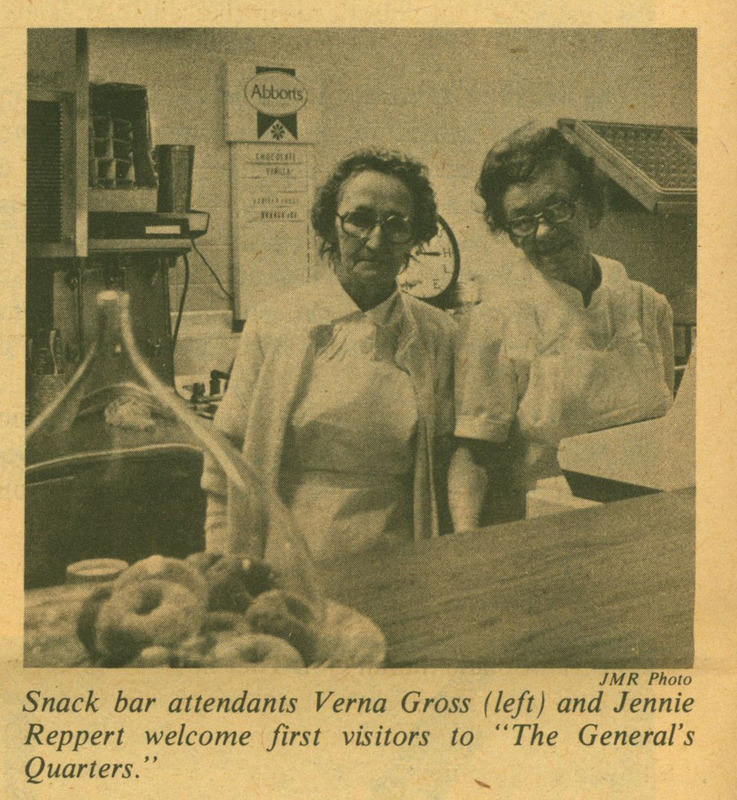 In 1978, a 130-seat snack bar (the original General’s Quarters, named in a campus-wide contest), an elevator, and a new studio for WMUH were added. 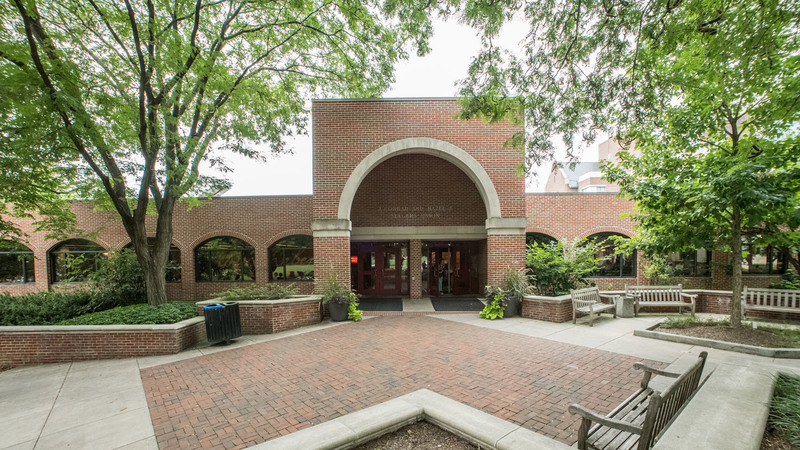 In 1988, another renovation removed the bowling alley, introduced the Red Door Cafe, and expanded the bookstore. Ten years later, the General’s Quarters was moved to its current location and more meeting rooms were added. The largest expansions took place in the twenty-first century: in 2009, the suite of meeting rooms known as the Great Room was added on the main level, as well as a new door facing the Shankweiler Building. The most recent and imposing addition was that of the award-winning Ilene and Robert Wood Dining Commons, completed in 2010. 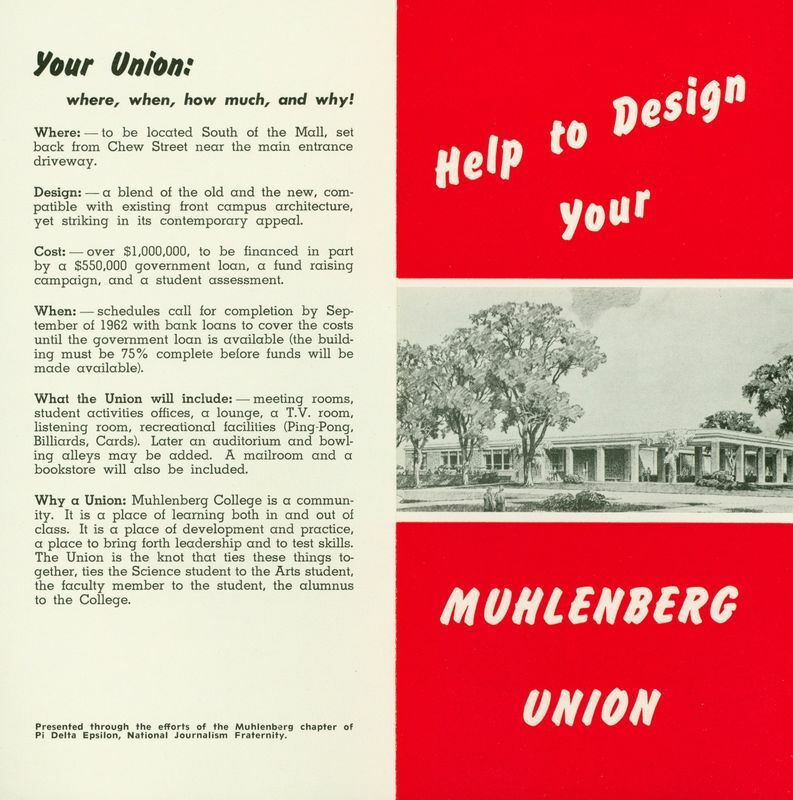 In 1948, Muhlenberg contracted with Robert’s father, Milton W. “Scotty” Wood, for the College’s first outside dining contract. 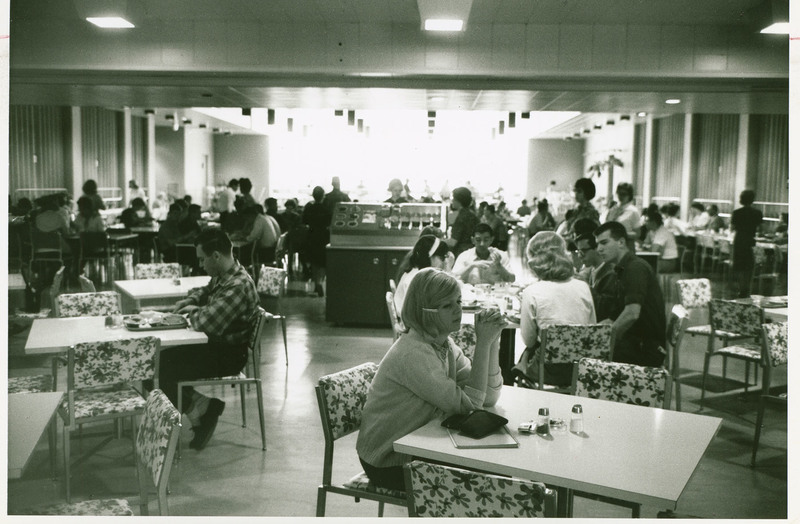 The Wood Company was later purchased by Sodexo, which continues the College’s food service today. Special Collections and Archives, Trexler Library, Muhlenberg College, “J. 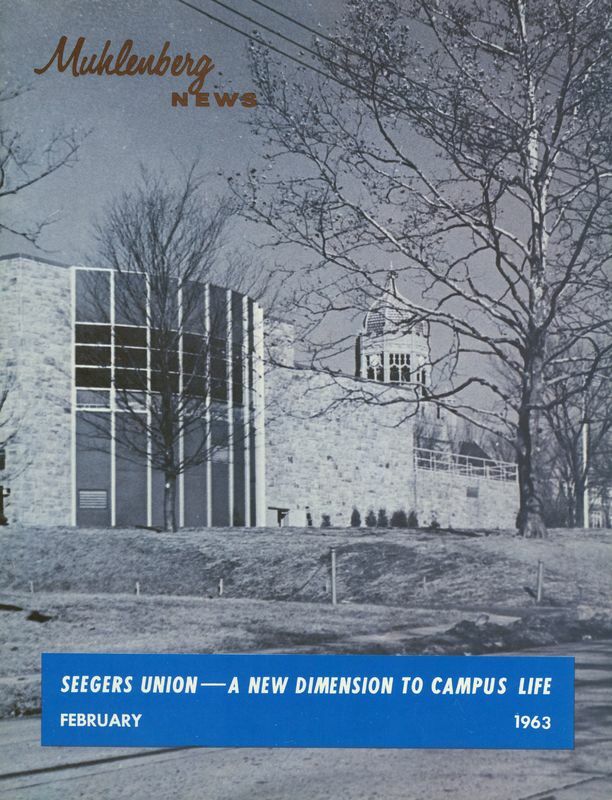 Conrad and Hazel J. Seegers Union (1963),” Muhlenberg Pathways to Present, accessed April 23, 2019, http://pathways.trexlerworks.muhlenberg.edu/items/show/10. Published on Jul 30, 2018. Last updated on Sep 20, 2018.